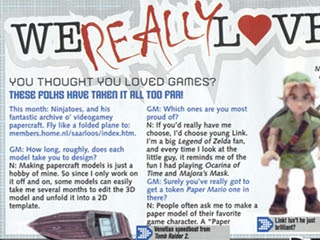 He wanted to ask me a couple of short questions for a small interview for the section “We Really Love Games” (featured in the May 2007 issue no. 185 on page 55). He sent me a copy and for those that don’t live in the UK and still want to read it, I was allowed to scan it to show it here.